Ho ho ho 🙂 Let’s continue with learning Christmas songs on the piano! This video is for you, if you’re a beginner or an intermediate. That’s why I show you three different versions of this song: for total beginners, for beginners and for intermediate piano players. To make it easier for you, I divided this tutorial in several small parts. I show you step by step how you can play this wonderful Christmas song. It`s a very rhythmic song that creates a nice holiday atmosphere. You'll be surprised how quickly you'll learn it. You'll even be able to play it with both hands at the same time. It's completely normal and not bad at all, if you have difficulties playing with both hands. Here is a video that may help you at this point. 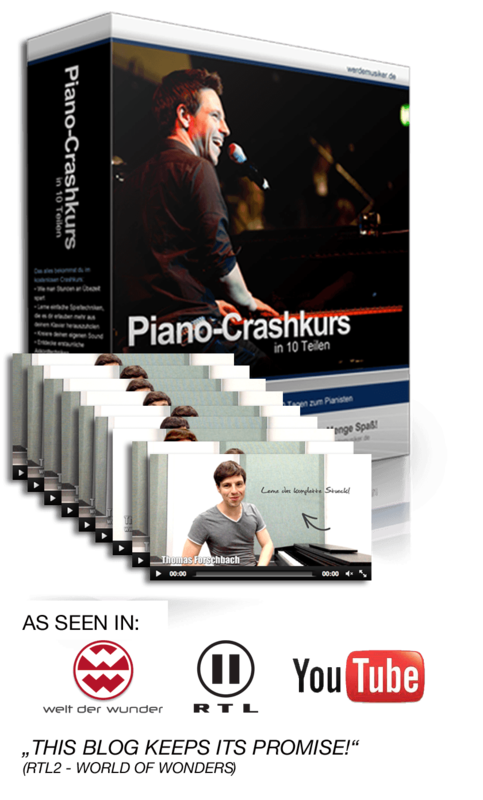 And if you’re looking for more piano lessons for beginners, then have a look at my free crash course, you’ll find it here!